As a warning, my posts over the next few weeks are probably going to be a little sporadic. I'm in the process of packing for a move. If you are a regular visitor, you probably know that I tend to accumulate a lot of stuff. Just packing up all of the records is going to be a Herculean task and I collect more than just records. Also, it's difficult to take pictures of my records when they are in boxes. I'm going to try to post this week, but next week is the big move, so I may not have anything new up on the site that week. We'll see. Anyway, cutting through the chaos of my life right now we have Triple Junk from Japan. 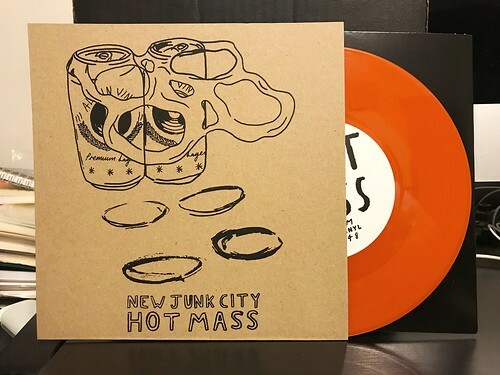 This 7" is four songs of exciting, treble heavy power pop that I just can't get enough of. Guitar chords ring out and couple with a tight rhythm section that drives each song forward. The way the songs are structured reminds me a little bit of the first Gentleman Jesse album, but with a crunchier pop punk influence creeping in. It's undeniably catchy and I really dig this a lot. 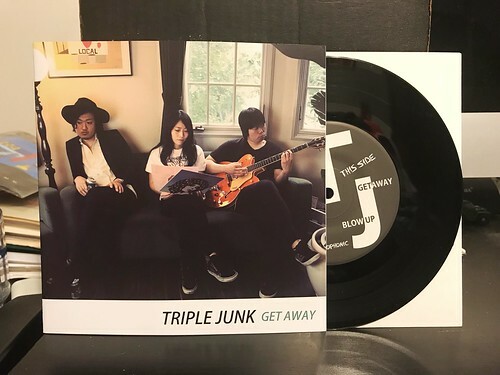 Digging around online, I think that Triple Junk has another 7" and a demo CDR. 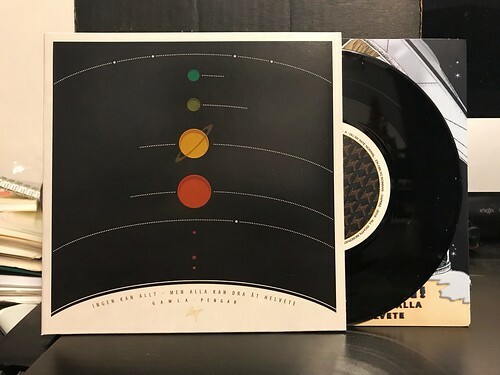 If they are even half as good as the songs on this 7", these are records I need to find. So if anyone out there happens to see them, please let me know. 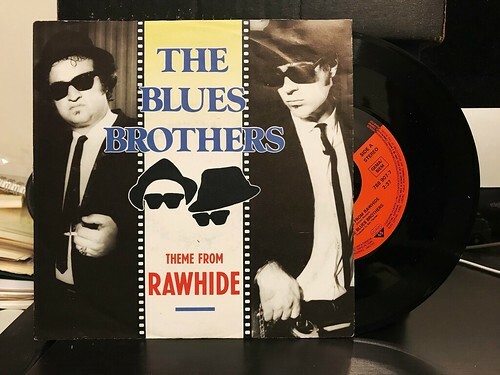 This 7" ties pretty directly into the last Blues Brothers single I wrote about, primarily because it is the exact same single. However, for the Japanese market they switched things up and made "Jailhouse Rock" the A side and "Theme From Rawhide" the B side. To me, that actually makes a lot more sense and I'm surprised it wasn't the case for both versions. 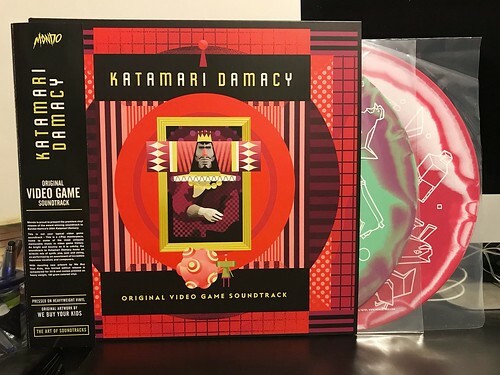 The artwork on this Japanese version is a lot of fun. The classic illustrated logo of the band is mixed in with jail cell bars over a bright yellow background. They threw in a small picture of the photo from the soundtrack album cover just for good measure. It's an interesting way of creating completely new and original artwork without using anything new. 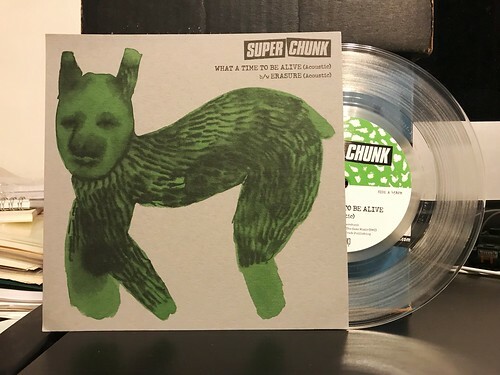 Both images have been recycled from countless other releases, yet this 7" still stands out as truly unique. 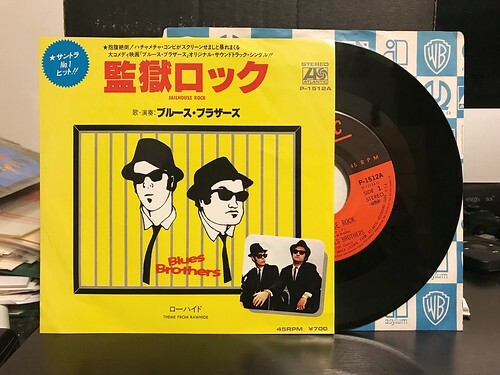 This is actually the last of the Japanese Blues Brothers 7"s I have. There's one more that I know of for "She Caught the Katy"/"Gimme Some Lovin'" that I haven't been able to track down yet, so if anyone ever sees that, please let me know. 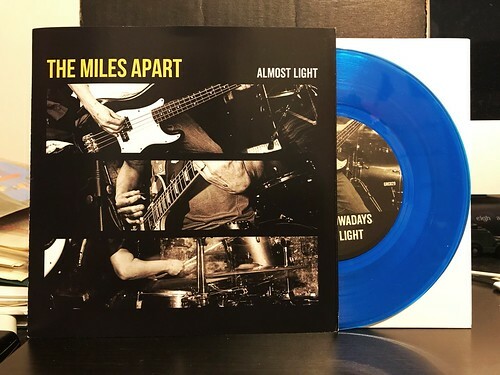 Debt Offensive sent me this split 7" of two bands I wasn't previously familiar with. As I've said many times in the past, the split 7" is one of my absolute favorite ways to listen to music. You get to hear from two bands that may or may not be similar, but have some sort of kinship. Otherwise, why would they be on the split? In this instance we have two bands that lean towards the melodic end of the punk rock spectrum. The two Burning Spring songs are really impressive. They have gruff, chunky guitar riffs that rattle around their songs, mixing in with the rhythm section and the slightly raspy, melodic vocals. They've got a knack for dynamic starts and stops within the songs, particularly "Seven Years Bad Taste." It's a really incredible song, catchy in all of the right places, but still with a rough around the edges feel that I find incredibly endearing. I don't think these guys have anything else out, but these two songs make me eager to hear more. 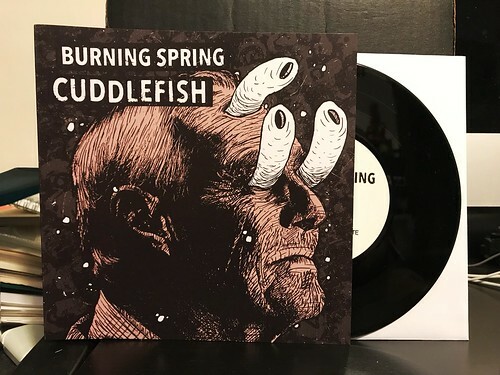 Cuddlefish is a little bit tighter and a little bit slicker than Burning Spring, but they don't connect with me quite the same way. Cuddlefish is leaning in a direction that reminds me of The Flatliners, particularly with the really scratchy, borderline screaming vocals. It's not to say these songs aren't good, they are still pretty catchy and have really hooky choruses. Their three songs aren't quite as captivating as the Burning Spring songs, but they are enjoyable with heaps of energy to spare. 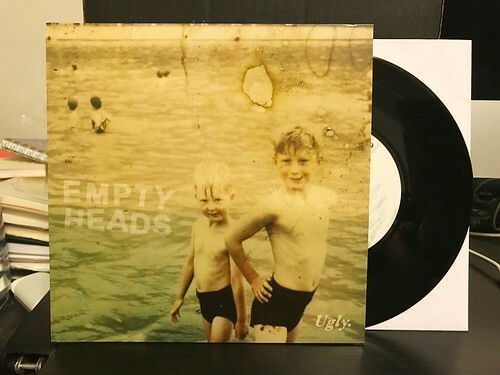 Gamla Pengar - Ingen Kan Allt - Men Alla Kan Dra åt Helvete 7"
I was hipped to Gamla Pengar because Fredrik of the ever wonderful Chester Copperpot told me he started to play with them. While Fredrik isn't on this recording (unless he recorded under a rockstar pseudonym that I'm unaware of), I can certainly see why this is a band that would make someone want to jump on board. These guys are pretty great. So the two comparisons that immediately jump to mind for me are Hot Snakes and Rocket From The Crypt. Now, I realize that is some lofty praise and it sets expectations perhaps a bit too high, but sonically those are the bands that come to mind. You have the furious downstroking and dark melodies of Hot Snakes, mixed in with an overtly catchy, party/singalong vibe that I can only compare to Rocket. Vocally they are worlds different as the singer from Gamla Pengar has a more guttural growl as opposed to the smoother tones Reis is known for or the pained howl that has become Rick Froberg's hallmark. Also, Gamla Pengar is singing in Swedish, so that's a difference as well (According to Google, the title of the 7" is something about everyone can go to hell). 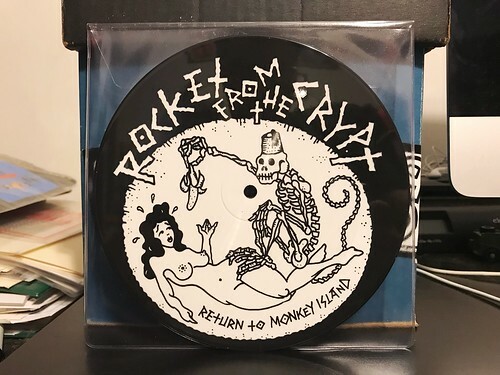 All four of the songs on this 7" are a rocking good time. Loud and aggressive enough to leap to the forefront, but the songs are catchy enough to where you still find yourself nodding along and tapping a toe. 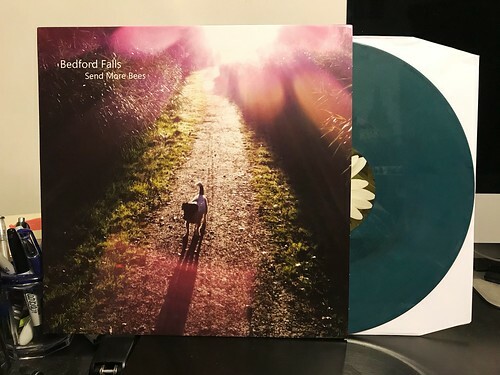 This is the most recent release that Gamla Pengar has put out, but Fredrik sent me a few more of their older records, so I'll write a bit about those as well in the next few weeks. Go check these guys out, it's worth it. Debt Offensive sent me this little gem from their back catalog along with the Supercrush 7" from the other day. While the bands take completely different paths, both have a penchant for 90s style rock & roll and both are pretty darn great. Where Supercrush is mining for pop gems, Empty Heads is their noisier stoner cousin. All three songs on this 7" are sludgy, yet surprisingly catchy guitar rock numbers. 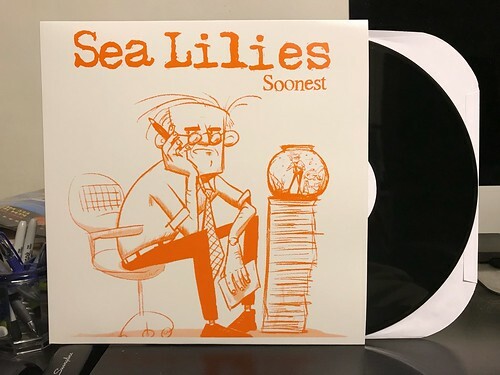 There's the sort of distortion you'd expect to hear on middle era Sebadoh records, but with choruses and hooks that remind of a mix between Seaweed and The Karl Hendricks trio. Imagine that "Some Girls Like Cigarettes" came out on Sub Pop. 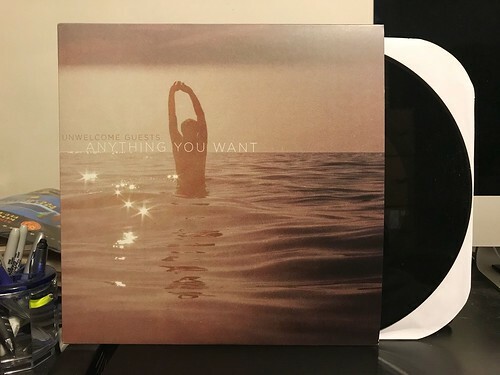 I think that this 7" is even better than the band's debut 7" I reviewed a few years ago. I'm definitely curious to hear more, though it looks like the only other release they have out right now is a cassette. I'll have to track that down so I can say bad things about the cassette format. While this isn't the sort of thing one would typically think would immediately be my cup of tea, it's the hooks that will keep me coming back.